Al Harrison: Here at NASA we all pee the same color. Hidden Figures is a really good movie. I never read Margot Lee Shetterly's book, but I might now. 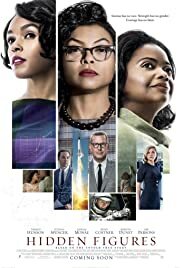 This is a wonderful movie about civil rights, space travel, and new technology. It pulls in many different characters and personalities. Theodore Melt did a wonderful job directing. The story focus on the technical aspects. However the movie is never slow, it keeps moving and keeps you interested. The casting was good. 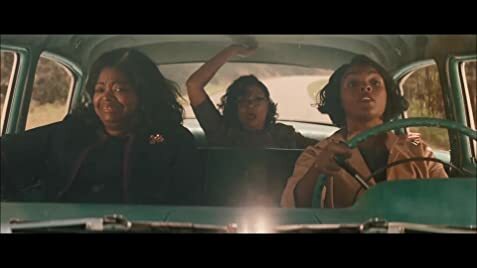 Octavia Spencer, Taraji Henson, Janelle Mona, and Kevin Costner did an incredible job. There was also wonderful performances by Jim Parsons and Kirsten Dunst. Hidden Figures is a fun and exciting movie about advancement in ideas and technology. Its is also a very uplifting movie about bravery and taking chances. It is really good. I enjoyed it.